This story is about a cat and a boy who leave their home and explore the forest. 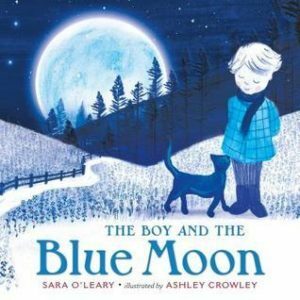 The world has turned blue, and the boy and his cat decide to try living on the blue moon. At first they enjoy having the moon to themselves, but eventually they feel lonely and decide to return to earth. Overall it was a good book and the pictures were beautiful.